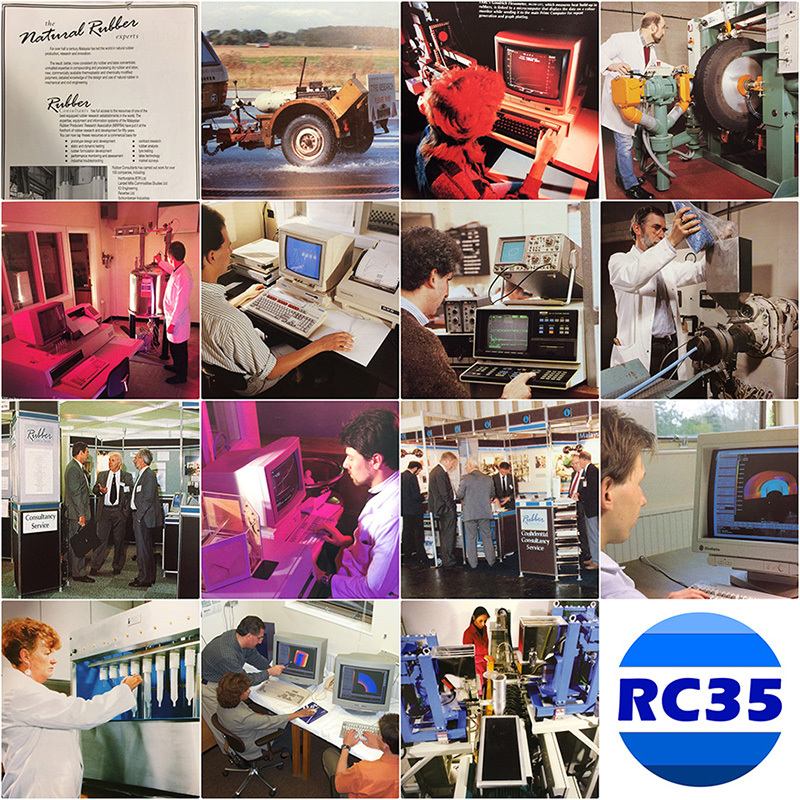 In 2019, the year of the IRC in London, Rubber Consultants turns 35. We have been providing top quality testing and R&D services to many industries since 1984. Evolving over the years to suite our clients’ needs, our customer base has also morphed from dealing with natural rubber problems in the 80s to developing into many different polymer based materials for all industries ranging from tyre, automotive, aerospace, railway, oil & gas, medical & healthcare, pharmaceutical, packaging, construction to leisure sportswear sectors. We are proud of our reputation and global presence in the rubber industry and strive to keep our long-term customers happy while convincing new potential clients of our commitment to providing one of the best testing and solutions services in the world. Our clients are some of the most well-known within the rubber industry and market leaders in their product sectors. There are also some new developments to announce this year, with a new rubber training course initiative and a new testing facility... more news coming soon! If you need any of our services please give us a call to discuss your requirements and get a quotation for any work you may have in mind.